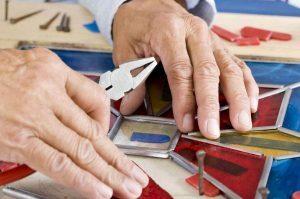 Should stained glass hobbyists be concerned about lead poisoning? - Sasha's International, Inc.
Safety is definitely an issue when dealing with toxic heavy metals, such as lead came, copper, cobalt, etc. and washing with regular soap isn’t the solution you might think it is. First of all, most people who work with toxic metals as a hobby, like stained glass artists, don’t wash the way they should, i.e. getting a good lather with a special cleaner for at least 20 seconds, scrubbing well and rinsing and then scrubbing again for at least 20 seconds before rinsing once more. An even more important consideration is the problem of lead dust on your hands and body. Lead dust can often not be seen which is why lead testing kits are sold in many hardware and home renovation outlets. Then lead dust is hard to get rid of because it tends to stick to the skin and has a static charge that makes it even harder to wash off. And once it has contact with water, lead dust becomes more easily absorbed by the body, and therefore more dangerous. 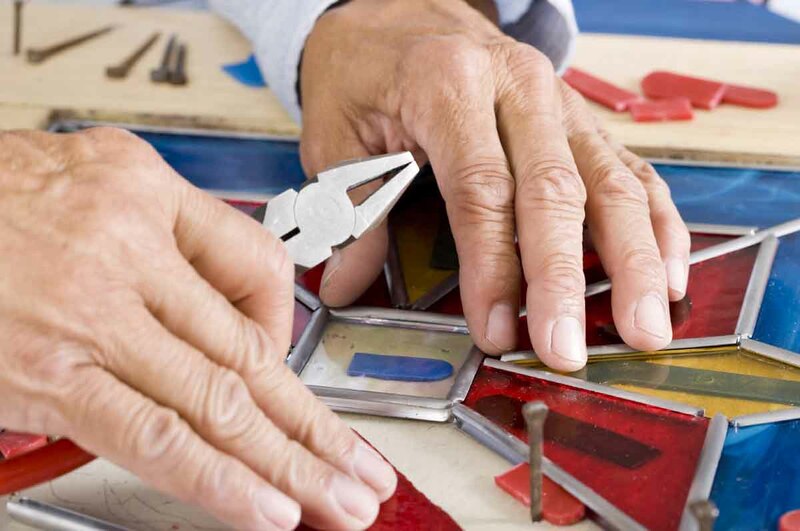 Careful washing, not touching your face without washing, wearing a good face mask, proper ventilation, isolating the work area, proper cleaning of all exposed surfaces and laundering clothing will all help keep you safe and shouldn’t keep you from enjoying a creative activity like making stained glass.